The resources presented here complement the information in our Stronger, Safer Shorelines brochure (right). This information is designed for local government officials and staff people who want to learn more about planning for, tracking, and implementing multi-benefit, nature-based solutions to increase resilience to climate change for communities around the San Francisco Estuary. The CCMP, originally published in 1993 by the San Francisco Estuary Partnership, was the first master plan for improving the health of the estuary encompassing the San Francisco Bay and the Sacramento-San Joaquin River Delta. The objectives of the plan are to sustain and improve habitats and living resources, improve water quality and increase water quantity, increase resiliency to sustain functions in the face of climate change, and champion the estuary through public understanding and stewardship. Learn more. Plan Bay Area is a long-range integrated transportation and land-use/housing strategy for the San Francisco Bay Area through 2040. 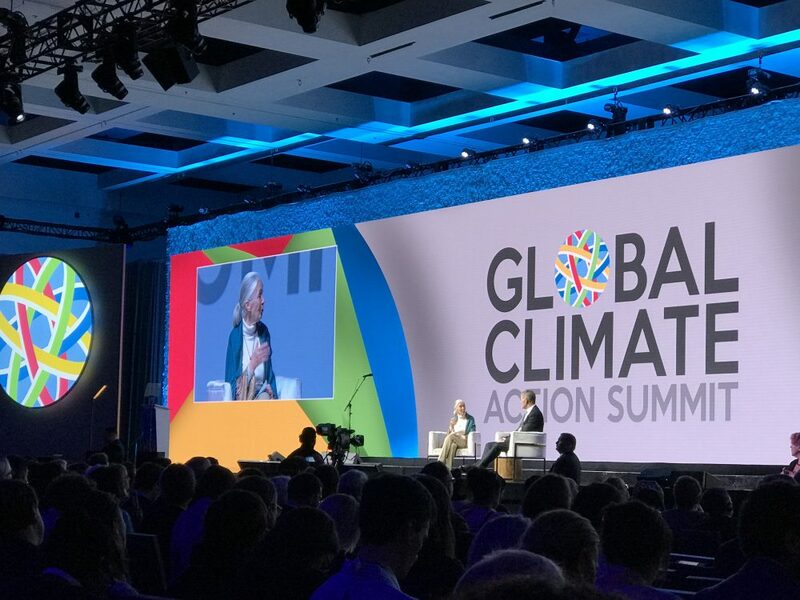 All major metropolitan areas in California are required to develop a sustainable communities strategy, linking housing, transportation, and land use, to meet the carbon dioxide–reducing goals of SB 375. The plan promotes compact, mixed-use development that is walkable, bikeable, and close to public transit, jobs, schools, shopping, parks, and other amenities. Learn more. 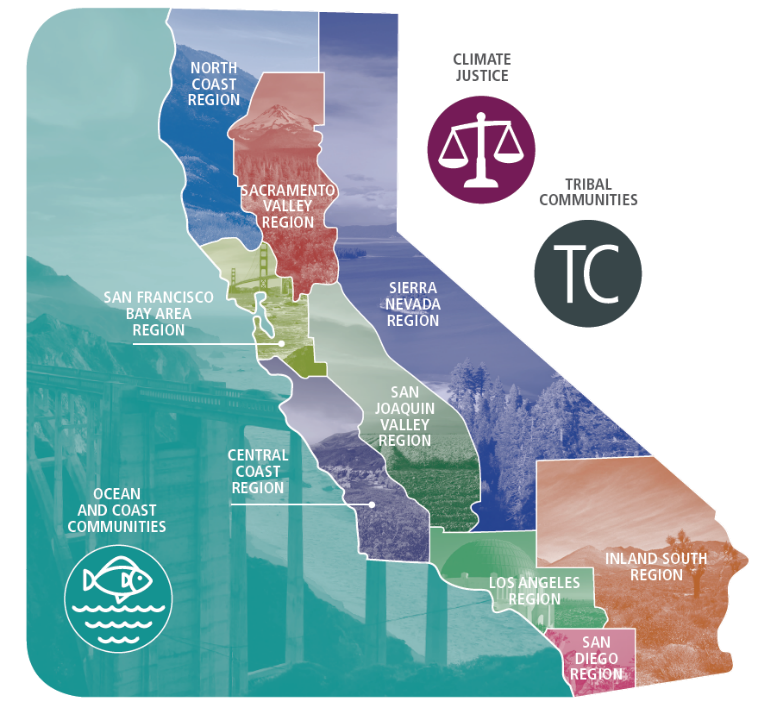 Initiated by the San Francisco Bay Conservation and Development Commission (BCDC), Adapting to Rising Tides (ART) leads and supports multi-sector, cross-jurisdictional efforts to build local and regional capacity to plan for and implement adaptation responses in the Bay Area. The Alameda County Subregional ART Project applies collaborative adaptation planning to identify how flooding will affect the Alameda County shoreline. Learn more. This plan, which was a joint regional planning effort spearheaded by the Metropolitan Transportation Council (MTC), promotes future growth near transit throughout the Bay Area. The plan sets eight transportation goals for the Bay Area, including climate protection. Learn more. The Associated Bay Area Governments (ABAG) is providing assistance to a select number of cities to develop policies for hazard mitigation or resilience planning, per the 2010 Local Hazard Mitigation Plan or Climate Adaptation Plan. Under this program, ABAG will provide assistance in planning for and implementing mitigation projects with the goals of ensuring that mitigation activities are regionally coordinated, are implemented in an impactful way, and are not financially overburdening any given jurisdiction. Learn more. This interactive map shows land vulnerable to a 100-year flood event and includes the San Francisco Bay and coastal land from Half Moon Bay to Bodega Bay. This Coastal Storm Modelling System (CoSMos) model, developed by the US Geological Survey (USGS), represents sea level rise and storm events, and accounts for physical structures, wave dynamics, coastal erosion, and other factors. Learn more. This map viewer, developed by the National Oceanic and Atmospheric Administration, provides interactive visualizations that demonstrate the scale of potential sea level rise and coastal flooding impacts. Learn more. A collaborative effort between the San Francisco Estuary Institute, SFEP, and regional planning agencies, this inventory provides data about the shoreline of the Bay, including features that affect flooding and flood routing (engineered levees, berms, embankments, roads, wetlands, etc. ), features fronted by wetlands and beaches, and features that are artificially hardened. Learn more. Leveraging the region’s wealth of experts, funding, and political assets necessary to implement successful resilience projects can help your community achieve multiple goals and support the overall health and safety of the estuary. This project, located on a 10-acre field next to the Oro Loma Sanitary District’s San Lorenzo wastewater treatment plant, uses a horizontal levee, which mimics the natural slope of historic wetlands, takes in treated water from the Oro Loma facility at the top of the horizontal levee, and lets water flow through the soil to sustain and be treated by native plants. Learn more. This ambitious restoration project at the mouth of Yosemite Creek in San Francisco will add 12 acres of tidal wetlands and remove contaminated soils from upland areas, while improving habitat for special-status species and developing a nesting island along the shoreline. Learn more. The South Bay Salt Pond Restoration Project is the largest tidal wetland restoration project on the west coast. When complete, more than 15,000 acres of commercial salt ponds will be restored to tidal marsh, mudflat, and other wetland habitat. Learn more. Project Description: This multi objective habitat restoration project utilized a number of habitat restoration techniques in a living shorelines approach to enhance and protect physical and biological resources of the coasts of San Rafael and Hayward. The project constructed pilot native Olympia oyster reefs and eelgrass beds that provide habitat for a wide diversity of native species, and are positively influencing physical processes such as wave attenuation that can buffer and protect shorelines in the face of sea level rise and other impacts of climate change. Learn more. This project is a regional effort aimed at helping restore stream and wetland habitats, water quality, and shoreline resilience around San Francisco Bay. It used resources from several flood control agencies to redesign major flood control channels to provide both future flood conveyance and ecological resilience to climate change. Learn more. A multi-partner effort at the Marin County bayshore is returning salt marsh vegetation and endangered species to an area that was wetlands in the past. Learn more. Dredging in the Bay is essential for shipping. The Long-Term Management Strategy for dredge materials encourages beneficial reuse of dredged material, as in wetlands restoration. A new collaborative program to increase reuse of dredged sediment at habitat restoration sites has been developed and can be found online! Click to Learn more.